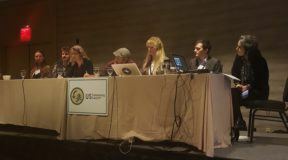 On January 24th, 2017, ILSR along with BioCycle and the US Composting Council (USCC) co-sponsored the 4th Cultivating Community Composting (CCC) Forum, held in conjunction with the USCC’s International Conference & Trade Show in Los Angeles, California. The Forum was preceded by a full-day Best Practices in Community Composting Workshop. The Workshop and Forum provided attendees a unique opportunity to network, share best practices, and build support for community scale composting. ILSR secured funding from a number of sponsors to support these events. A hearty thanks to 11th Hour Project, Food Waste Experts, ReoTemp Instruments, Sustainable Generation, BioBag, Green Mountain Technologies, O2 Compost, and EPA Region IV for their generous support! We provided scholarships of up to $500 for 42 community composters to attend. Check out presentations from the 2017 CCC Workshop and Forum here. Rodette Jones (MD), Tracie Troxler (FL), Kat Nigro (NC), Molly Lindsay (NY) and Tiffany Bess (FL) share why they attended the 2017 USCC Conference in LA. Photo courtesy of USCC. 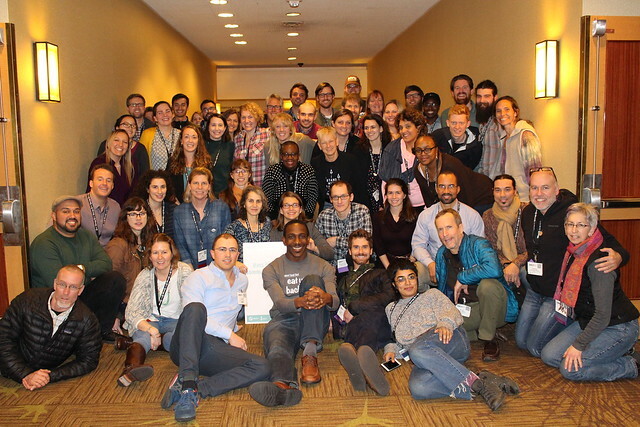 CCC 2017 served as a valuable reminder that community composters serve an integral and unique role in both the broader composting industry and the sustainable food movement. 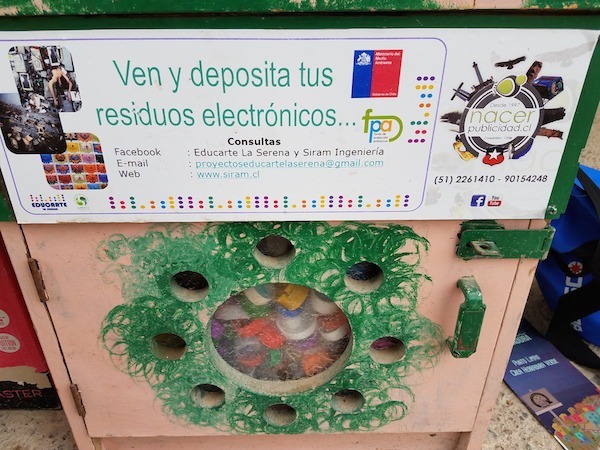 We are the social innovators and entrepreneurs that are collecting food waste by burning calories instead of fossil fuel, employing youth and marginalized groups, and developing innovative data-sharing applications and cooperative ownership structures. We are the compost educators and facilitators that are building equity and power in our communities from the ground up, by supporting businesses, schools, farmers, community centers, and other communities in need. We are the front lines, grassroots, boots-on-the-ground that are cultivating awareness and demand for compost and its associated benefits. We are transforming landscapes, urban and rural (and everything in between), by getting compost into the hands that feed the soil that feeds us. The CCC Workshop brought together 60+ community composters from 17 states for one of the largest gathering of local-scale composters in history. 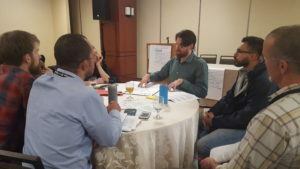 It was a full-day, pre-conference event where community composters shared practices that work through both presentation and small group discussions. Attendees explored how to adapt the efforts and achievements of other programs for their communities and explored next steps to keep the momentum of the movement moving forward. Topics included: Key Ingredients of Community Composting; Small-Scale Composting Systems and Processing Best Management Practices; Hauling, Bike and Other Logistics; The Business of Community Composting; and a panel discussion on Community Engagement and Building Community Power via Community Composting. 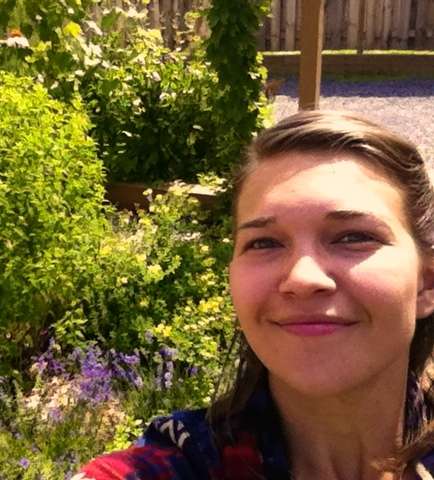 As community composters, engaging our communities is key to our success! To successfully engage our communities, we must be able to identify & serve their needs. This requires observation, patience, humility and forethought. To build power in our communities, we need to help address the forces that weaken their fabric, such as prejudices, oppression, and injustices. The panel on Community Engagement and Building Community Power (which featured panelists from Atlanta, Baltimore, DC, Flint, Detroit, Boston and LA) distributed a glossary of social justice terms to empower participants to continue this dialogue in there communities. Community composter-focused networking and info-sharing opportunities such as the CCC Workshop and Forum are critical to building a strong foundation for the movement. 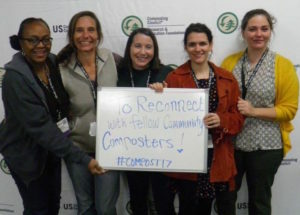 There is strong interest in forming an official community composter coalition or USCC chapter to leverage increased attention and support for community composting-related issues. Resounding demand exists for developing widely recognized best management practices (BMPs) for community composting. 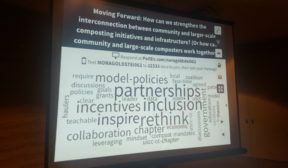 The CCC Forum, which took place as a track in the broader USCC Conference, brought other composters, compost advocates and stakeholders to the discussion. This part of the event provided a number of community composters a national stage for their expertise, helping to make the case for partnerships between community composters and larger-scale haulers and composters, as well as government fiscal and regulatory support for community-scale composting systems. In the Forum Keynote, our local LA host community composter, Michael Martinez of LA Compost, told how he is using composting to empower the marginalized people of LA County, which if it were its own state, would be the 8th largest in the U.S. in terms of population. California produces a sizable majority of the country’s produce, and yet, according to Michael, the people living in LA County are often bypassed by the current food system even though they make up a lion’s share of its farm labor. Participants of the 2017 CCC Forum create a word cloud while answering the question, “How can strengthen the interconnection between community composters and larger-scale composters?” Photo courtesy of USCC. Bridget Anderson, Deputy Commissioner for Recycling and Sustainability at the NYC Department of Sanitation, discussed how NYC views their community composting program (employs 40 with an annual budget of $3.5 million) as a key to NYC’s diversion success. Christina Oatfield of the Sustainable Economies Law Center talked about their recent paper outlining the most common policy barriers to community composting (such as gaps in zoning, exclusive hauling contracts, feedstock-sharing restrictions, and lack of community composting BMPs). Kendra Bones, Commissioner at Austin Resource Recovery, shared how Austin is focusing on backyard composting and compost training for the public to prepare for their goal to be zero waste by 2040. Kyle Pogue of CalRecycle described the huge lack of composting infrastructure needed to help California meet its waste diversion goal of 75% by 2025. In response to a question, Kyle did not rule out the possibility of community composters coming together to submit a proposal for a piece of the new multi-million funding opportunity. He also encouraged community composters to join an upcoming stakeholder webcast. Chris Hunt of ReFED (and a graduate of the NYC Master Composter Program) explained that community composting was selected as one of the 27 feasible solutions outlined in ReFED’s 2016 Roadmap to Reducing U.S. Food Waste by 20 Percent. 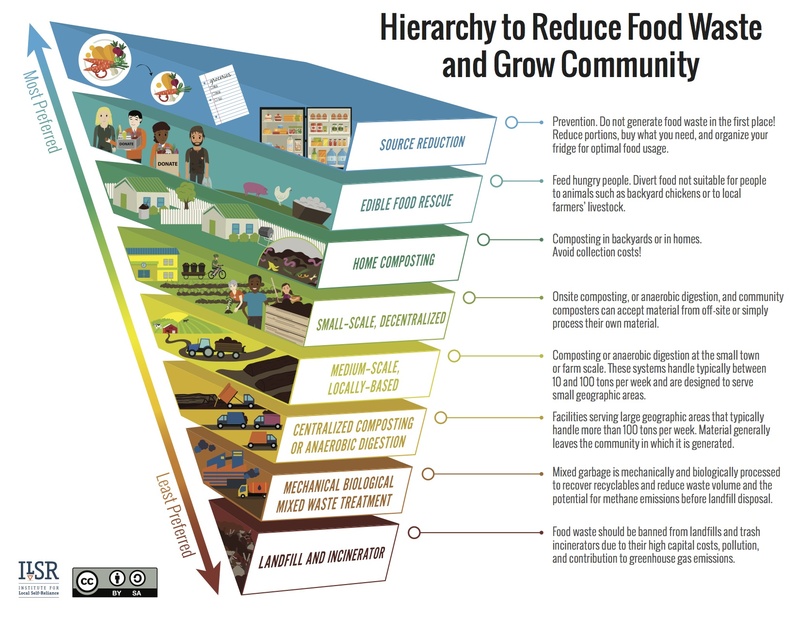 Later, as a panelist in a session under a conference track dedicated to the ReFED report, ILSR’s Brenda Platt unveiled ILSR’s new “Hierarchy to Reduce Food Waste and Grow Community”. To cap off an already successful and inspiring event, ILSR co-director and Compost Initiative director, Brenda Platt, was awarded the prestigious H. Clark Gregory Award from the USCC, “for outstanding service to the composting industry through grassroots efforts.” After 30 years of service dedicated to fighting incinerators, expanding recycling, cultivating composting at all scales, and building community power from the ground up, we feel certain that Brenda could not have been more deserving of this honor. Check out presentations from the 2017 CCC Workshop and Forum here.